If you were lucky enough to receive a new iPad for the holidays this year, we hope you have fun exploring what the tablet has to offer. By now you've probably acquainted yourself with the built-in apps on your iPad, so you may want to reach outside the sandbox for more interesting fare. The App Store, which you can access on your iPad or via iTunes on your computer, features more than 750,000 downloadable apps. If there’s something you want to do on your iPad, chances are good you can find a tool for it in the App Store. But separating the truly great apps from the weird and wacky ones can be tough. Here are a few of our favorite apps to get you started. 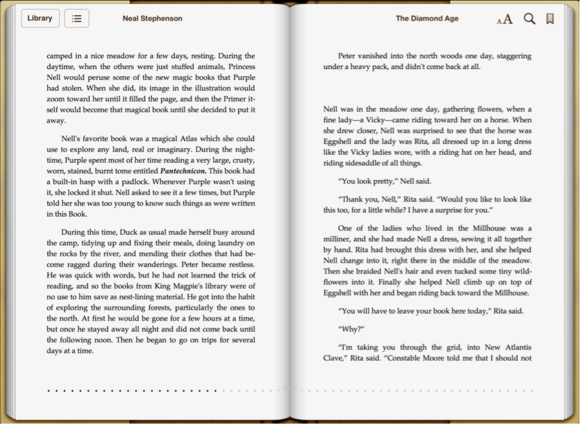 Apple’s iBooks (free in the App Store) lets you read ePub-format books and PDFs in both portrait and landscape modes. You can purchase books from Apple’s iBookstore, organize your books, create collections, and delete books you no longer want. Apple also offers support for interactive multimedia textbooks created through iBooks Author on the Mac; these are similarly available through the iBookstore, and offer a more immersive experience—one replete with videos, slideshows, and other touchable elements. You can read books by swiping virtual pages or by scrolling the content vertically as you might in Safari or Mail. 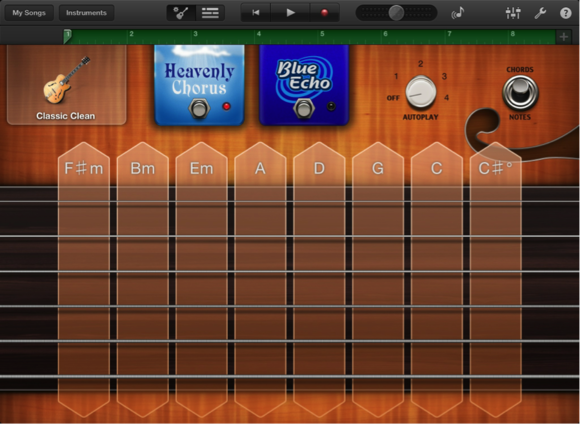 Apple’s music-making software, GarageBand ($5 in the App Store), is one of three apps in the iLife suite for iOS. It offers a slew of virtual and smart instruments, and you can strum chords or bang out tunes with just a few taps. Professional and amateur musicians alike can use the app to record eight tracks of audio, and you can even plug in USB accessories such as microphones and piano keyboards using the connection from Apple’s Lightning to USB Camera Adapter. 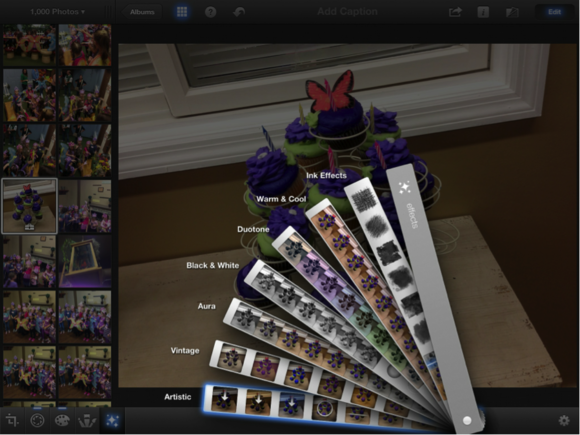 iPhoto ($5 in the App Store) is an app designed to let you perform a wide variety of tasks, including organizing photos, creating slideshows, creating Web-friendly scrapbooks, and editing, cropping, tweaking, filtering, and retouching photos. Once you start relying on Instapaper ($4 in the App Store), you’ll wonder what took you so long. 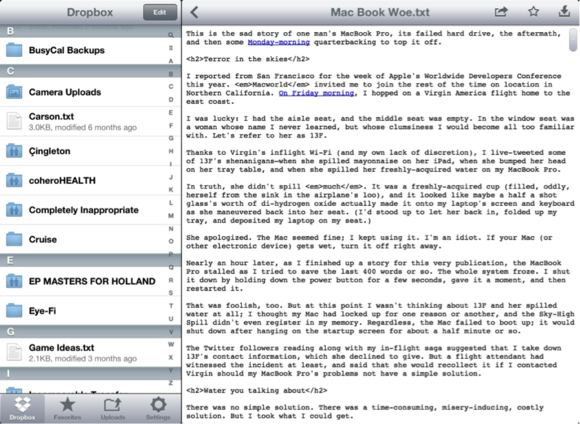 The idea is simple: Reading on your iPad is much more pleasant than reading on your Mac’s screen. 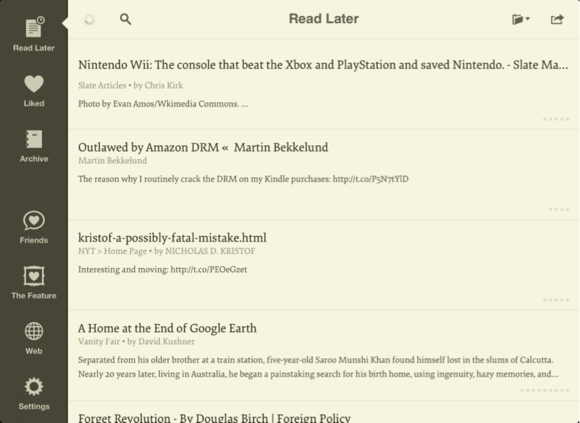 When you come across lengthier articles online, you tap the Instapaper button, whether in your browser, RSS reader, or Twitter client, or in one of the many other apps that integrate with the Instapaper service. The next time you launch Instapaper on your iPad, it will pull down the text of that article, as well as any inline images—but it will leave all the navigation, social networking modules, and Flash advertisements by the wayside. You’re left with just text and images, and you control the font and brightness and all that other good stuff. 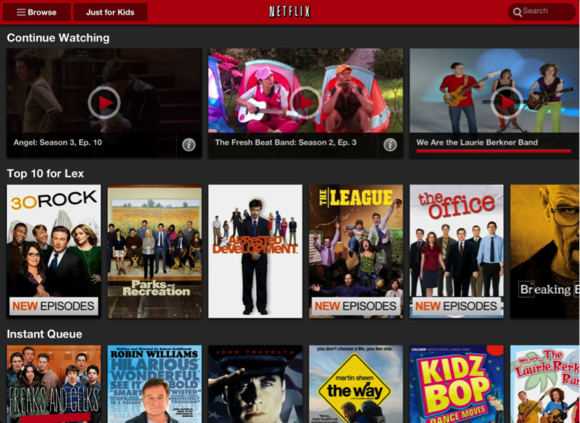 The app also makes it easy to discover more good Web content to read, based on your friends’ suggestions. 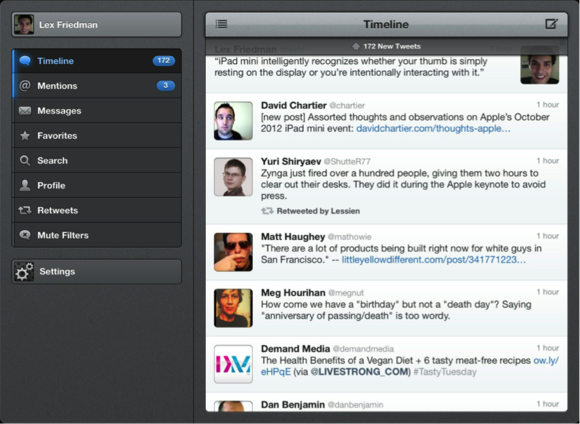 Tweetbot ($3 in the App Store) began life as an excellent Twitter client for the iPhone, and the iPad version is even better. The app’s unique interface and brilliantly implemented gesture support make it not only a powerful app for reading and posting tweets but also a fun one, too. Swipe to the right on a tweet to see the full conversation surrounding it; swipe to the left to see replies sent to it. Tap and hold—on a tweet, a hashtag, a username, or a link—to expose contextual options related to that element. With support for services such as Tweet Marker (for keeping you in sync with your device or desktop Twitter client), Instapaper, and more, it’s a full-featured Twitter app that’s a delight to use. Some games you use to waste time, and other games you actually sit down with your tablet specifically to play them. The Room ($2 in the App Store) falls into the latter category. The game sets its eerie mood beautifully, offering detailed, painstakingly drawn, pseudo-3D graphics and an elaborate soundtrack. The gameplay itself is even better: The Room contains an intriguing safe, and your job is to break it open. To do so, you’ll need to solve increasingly complex puzzles with little guidance. The game provides occasional hints, but you’ll still have plenty of problem solving to do on your own. For instance, you’ll notice that a seemingly ordinary panel masks a tappable portion that grants access to a hidden section, and that tapping these buttons in the right order will open a secret drawer. The Room includes at least 3 hours of entertaining gameplay, and you’ll wish you could keep going when you finally finish. 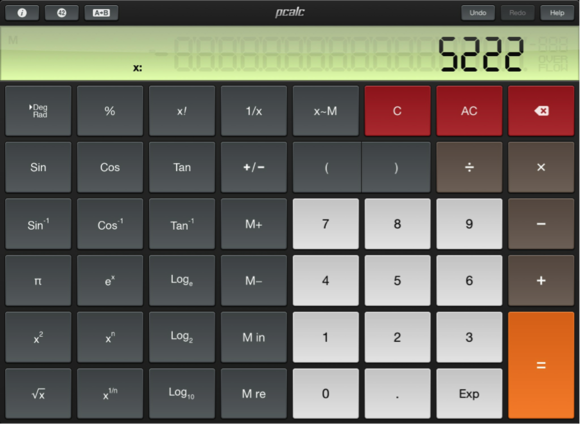 Though the iPhone’s Calculator app works fine, it simply doesn’t exist on the iPad. PCalc Lite (free in the App Store) works on all iOS devices, and it looks great on the iPad. Beyond that, it adds tons of functionality beyond simple arithmetic, including a scientific calculator, unit conversions, constants, reverse Polish notation, multiple undos and redos, and themes. The $10 version comes packed with features, but if you start with the free Lite edition, you can add other options from the paid version with separate in-app purchases. Other news apps exist, but no news app offers quite the polish of CNN on the iPad (free in the App Store). 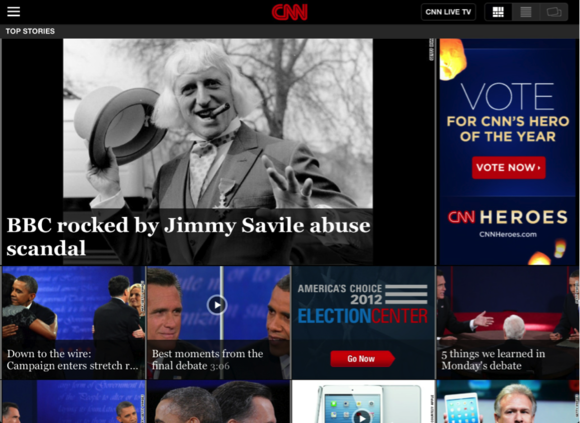 The app combines videos and cleanly displayed articles to keep you abreast of all the news that’s fit to consume. The app is very visual, with lots of photographs, easily readable text, and high-quality video to keep you informed. You can even watch the network live within the app. Dropbox (free in the App Store), a free Web service, lets you create a folder on your Mac that syncs automatically with whatever other computers you tell it to. The iPad app isn’t beautiful, but it does afford you access to all the files and folders you store in your computer’s Dropbox folder. You can upload your saved photos and videos to your Dropbox folder, or open saved files in compatible apps on your iPad—including word processing documents, PDFs, images, and MP3s.